There’s a small sandwich shop in my hometown that is a staple. The food isn’t anything special but the tradition around the restaurant is there. Half the menu consists of loaded potatoes smothered with meats, nacho cheese, steamed vegetables, and of course, chili. 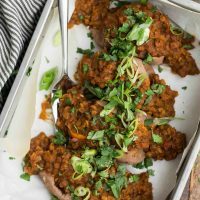 I’ve made chili loaded fries before but these chili lentils are a bit easier and just as delicious. Make sure you find or make a solid chili powder- it’s the foundation for the entire meal. Heat a pot or dutch oven over medium low heat. Add the onion and cook until fragrant and translucent, 4 to 5 minutes. Add the garlic, stir, and cook for another minute or so. Measure in the spices and salt, stir to coat the onions and toast for a minute or so. After the spices are added, stir in the lentils followed by the vegetable broth. Bring to a boil, reduce to a simmer, cover, and let cook for 15 minutes. Lentils should be starting to soften. Stir in the crushed tomatoes, cover, and cook until the lentils are tender and starting to fall apart. Taste and add more salt as desired. 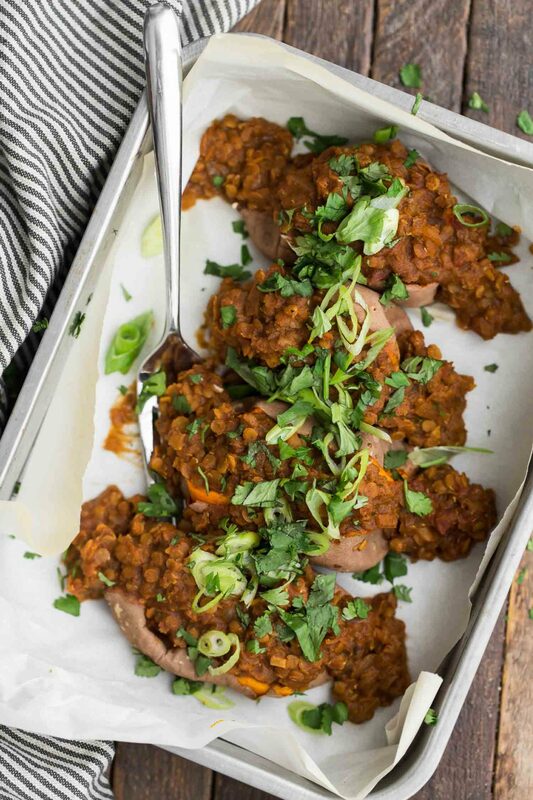 Cut a slit in the sweet potatoes and spoon the chili lentils into and over the sweet potatoes. Top with cilantro and scallions as desired. 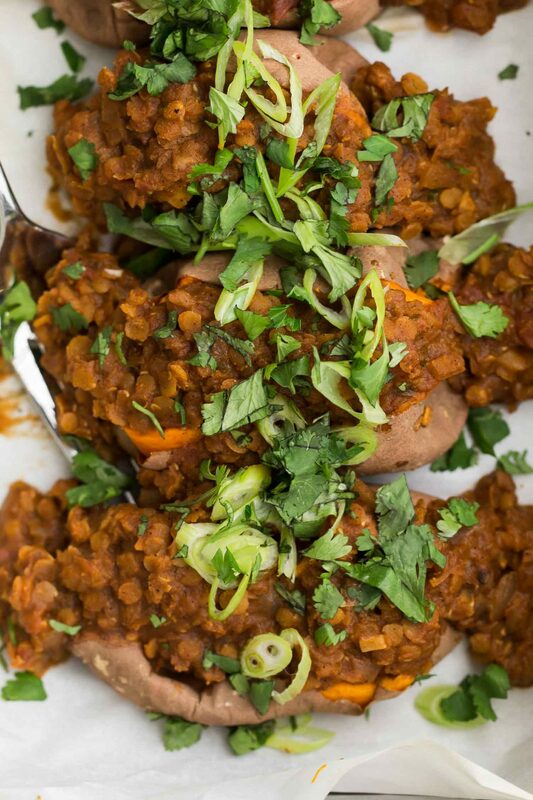 Tips & Tricks: You could add the tomatoes in with the vegetable broth but occasionally, depending on how old the lentils are, I’ve had trouble getting them tender. Polenta: For the ultimate comfort meal, I love these chili lentils on top of polenta. 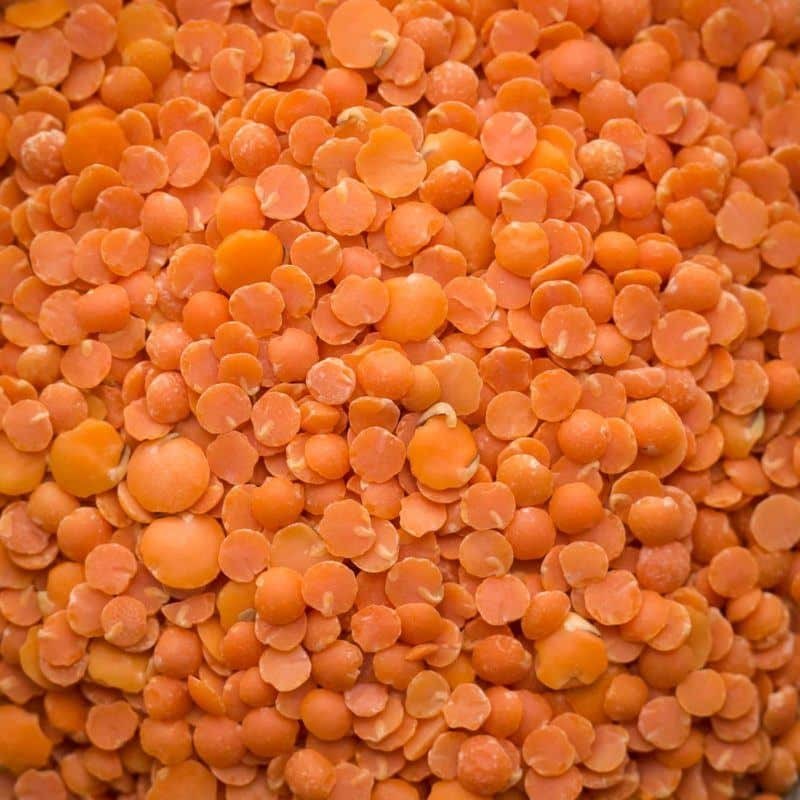 Or you could go for the ultimate meal: a sweet potato polenta with chili lentils. Greens: Stir in kale, chard, or spinach towards the end of cooking for a pop of green. 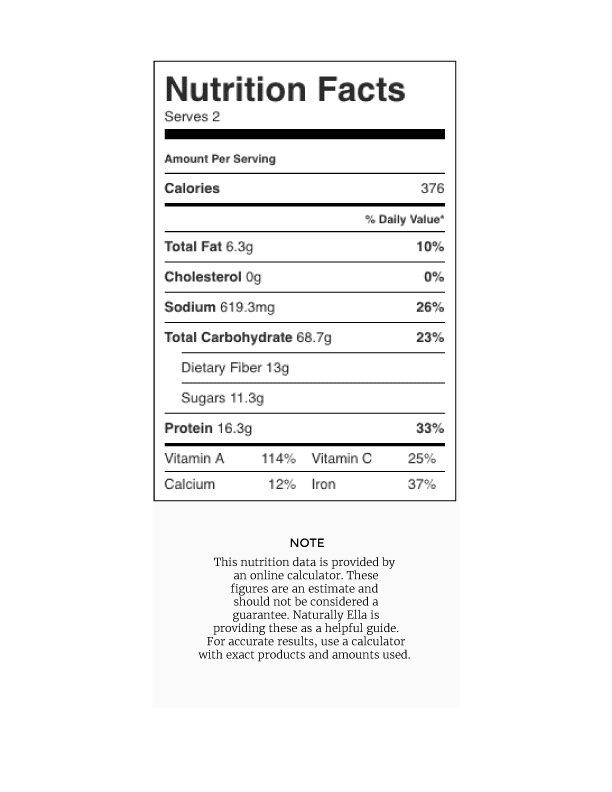 Yogurt: I wanted to leave these vegan but you could always top the chili lentils with a dollop of yogurt and/or a sprinkle of shredded cheddar cheese. I made this because had nearly all items in the pantry (except the smoked paprika). The paprika has a deep and delicious flavor making the chili taste like it was cooked for hours, when the recipe was actually really quick to make! I loved this and I will be making it again! I’ve just finished making this and tasted the first bite. It’s so good, I couldn’t wait to review! This recipe is magic. The individual ingredients are so simple but the finished meal is out of this world! I make your curry cauliflower pita pockets regularly. This recipe is going in the regular rotation now too. Yum! Cooked this tonight – it was great! I’ll definitely make it again. Fantastic recipe! I’ve made it several times and it is so delicious and satisfying.